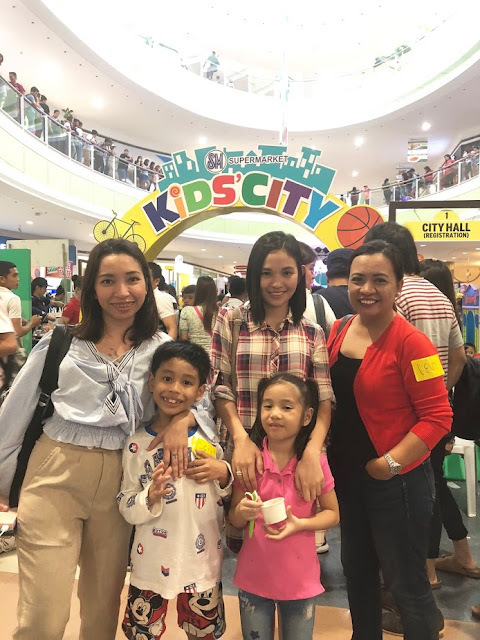 She's The Mom: We Partied at the SM Kids City 2018 in SM Dasmariñas! 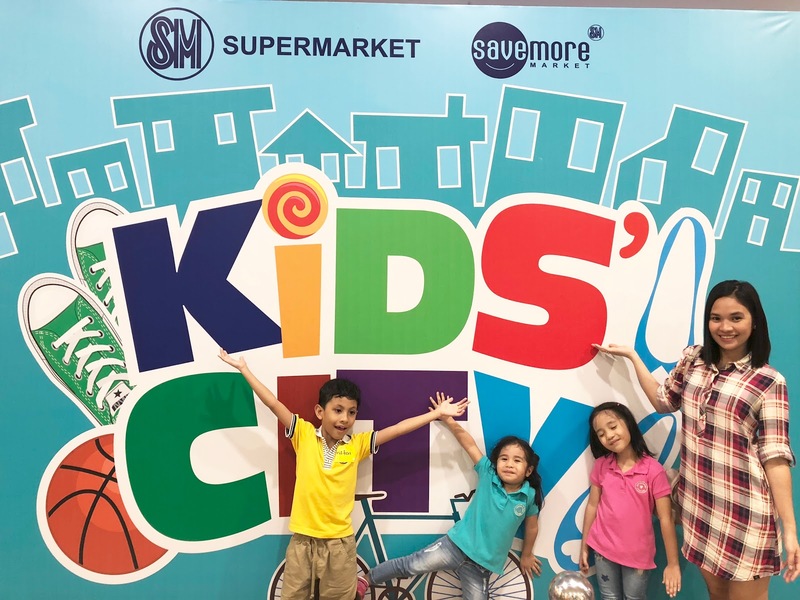 We Partied at the SM Kids City 2018 in SM Dasmariñas! 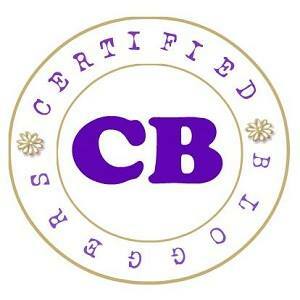 It's been raining a lot lately which could mean suspended classes and kids have no choice but to stay indoors. Though it's really not a problem for our kids staying at home, but it is mandatory that we have at least 1 day out. 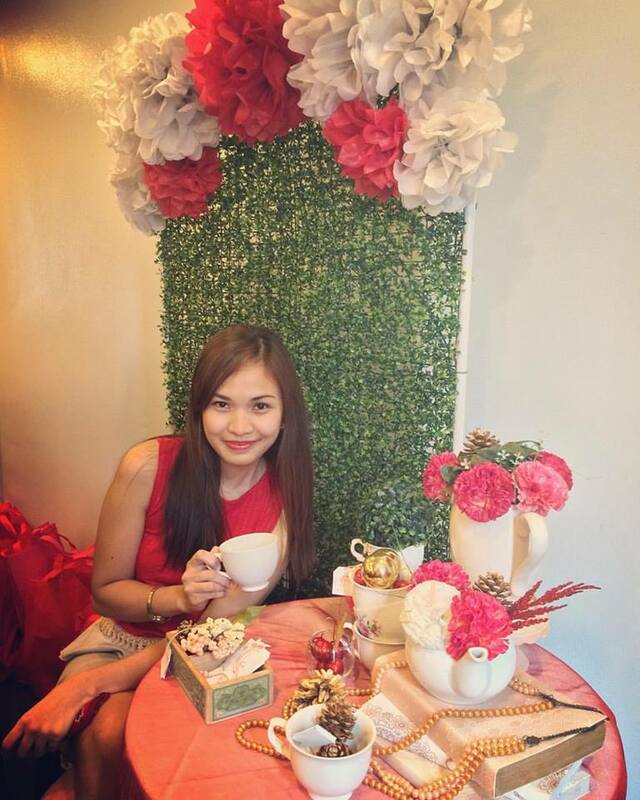 More than the kids, I guess it's me who craved for it the most. You know, being a stay-at-home-mom (and without a helper) you really don't get to have a day off so at least make time to have some quality time with the family, right? 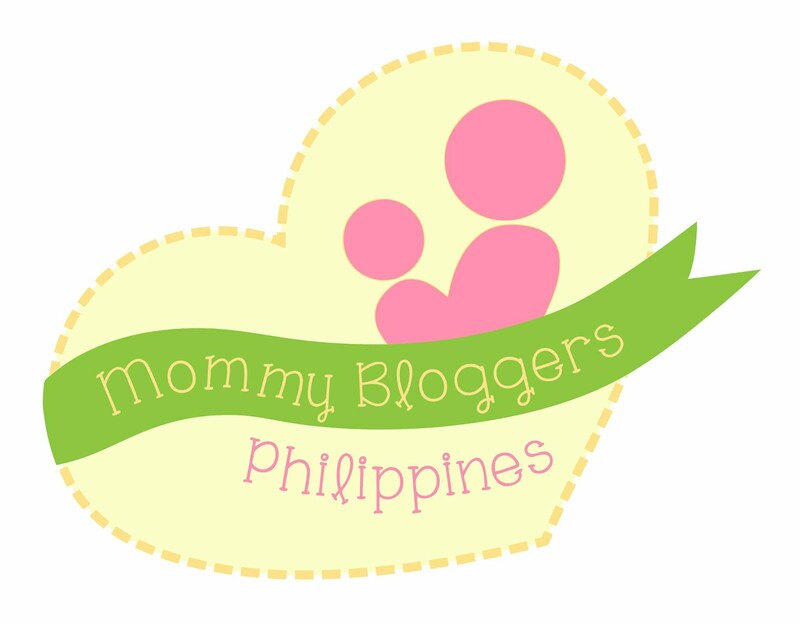 So when I get invites to mom and kids events, I get excited! And the most recent event that I attended with the kids is the launch of the biggest kiddie party in the Metro thrown by SM Market and Savemore - SM Kids City 2018 in SM Dasmariñas last July 20, 2018. It was a Friday and classes got suspended so I get to bring all 3 kids with me, of course, Jaear came with us (good thing his 1-day vacation leave request was approved). 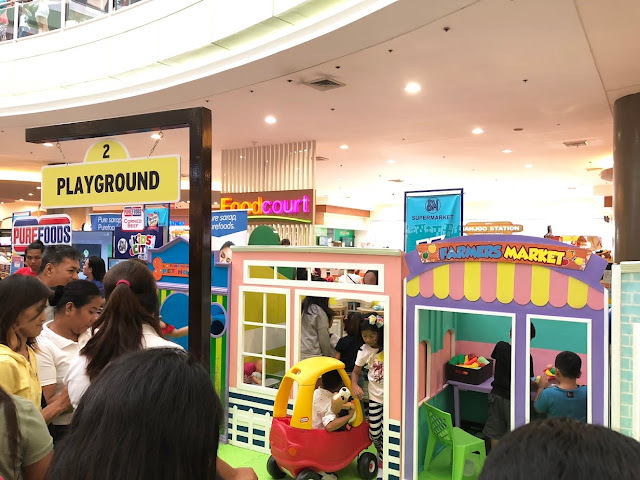 This event is a follow-through of SM Kids City 2017's success wherein we also got to attend when they launched it at SM Southmall, you can read about our experience here. 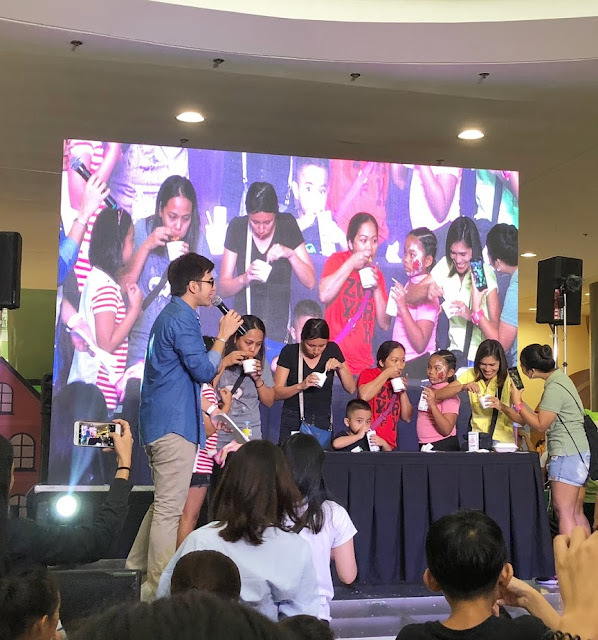 We also saw Mommy Bloggers, Mommy Levy and Kaycee with her Macho Kid at the event. It is already expected that it will be patronized by frequent mall goers and shoppers because the admission is FREE just register at the entrance area. But I was surprised because there were way many people compared to last year that it was actually a challenge to roam around. Nevertheless, everyone is determined to get in and when I say, everyone, I mean kids and parents alike. I can't blame them there's something for everyone to get busy with and to enjoy. Kids just can't get enough play time. 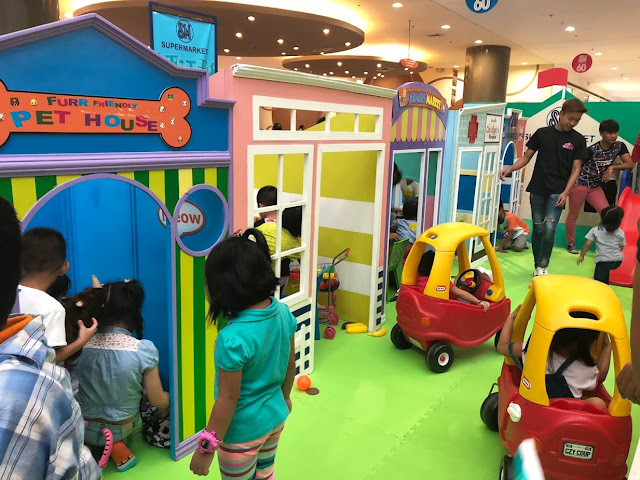 Many kids are waiting for their turn to enter the playground area. Kids can also crayon all they want. What's a party without food? There are overflowing free food sample! 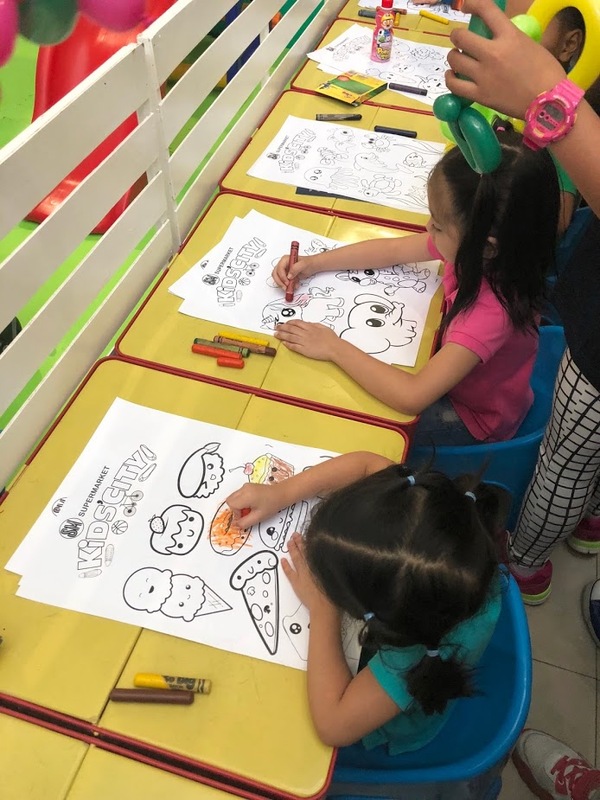 Kids grabbing some free food sample from participating brands. There was also a great selection of kids' favorite food like Hen Lin and Waffle Time or kiddie treats like popcorn, cotton candy, pizza, and pasta. 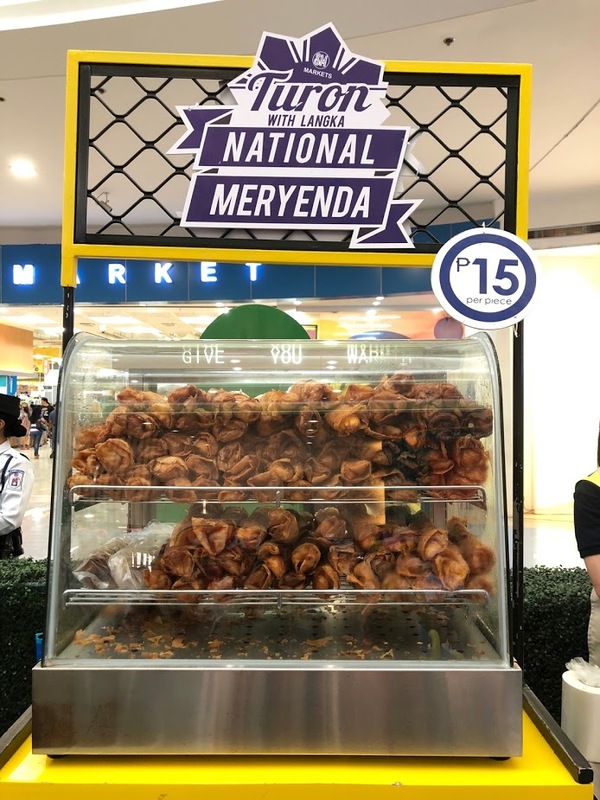 Ang pambansang meryenda- Turon with langka. Yum! 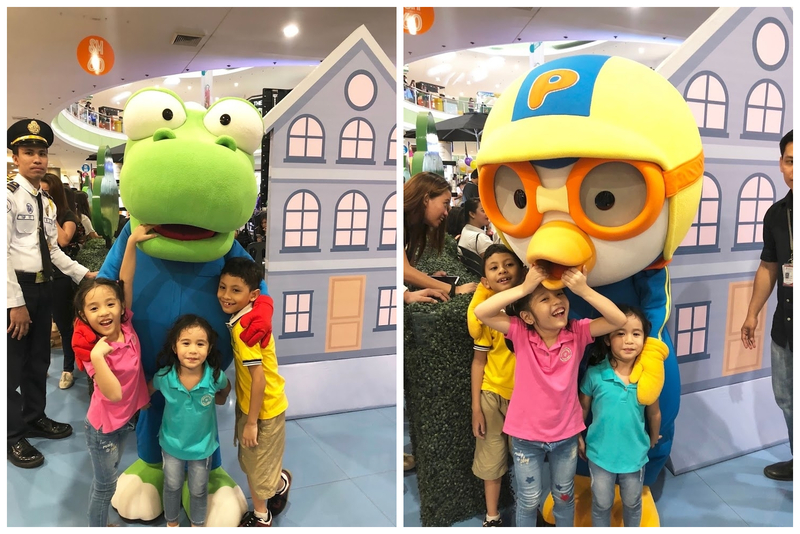 Just like last year, Pororo was there and the kids are just so happy and this time he is with Krong! There were also amazing shows such as Clowning Around, Mad Science and Jiggles the Balloon Lady. The crowd also participated in exciting games to win prizes! I was thrilled watching the Spicy Noodle Challenge and was tempted to join. Haha! 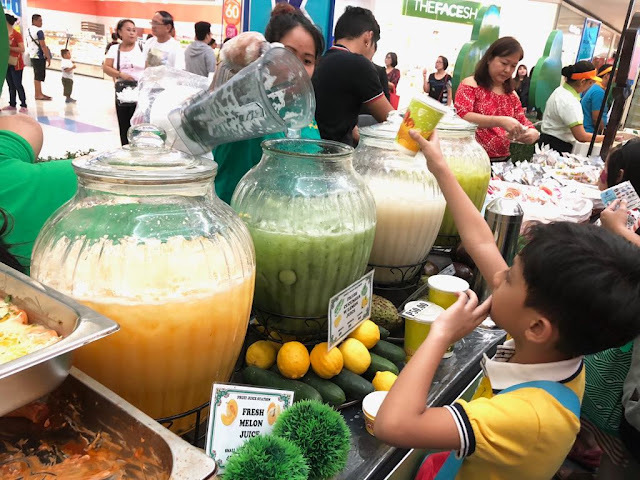 To make the event memorable not just for the kids, there's also something for the parents. 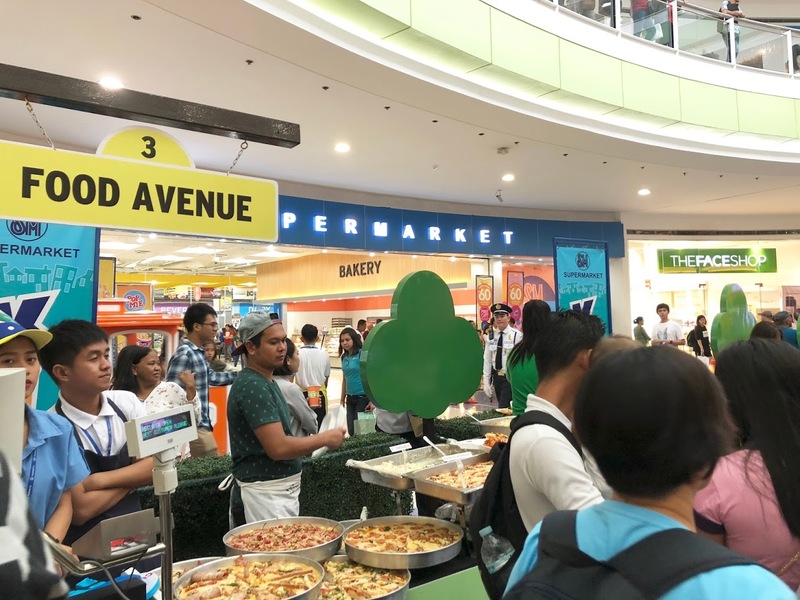 SM Markets has partnered with Pampers, Johnson's Baby, URC, Huggies, Koko Krunch, Lactum 3+ and 6+, Lucky Me!, Purefoods, Maggi, Knorr, Barilla, Federated Distributor Inc., Papa Catsup, American Garden, McCormick, Century Tuna Argentina Corned Beef, 555 Tuna, Angel Kremdensada, Ajinomoto, Nextrade Philippines, Inc., Delimondo and Samyang for exclusive offers and prizes. It was indeed a Friday well spent. We had so much fun and went home with a smile on our face.